Health and social services minister Mark Drakeford has paid tribute to the hard work done by Wales’ 370,000 carers on Carers’ Rights day today [November 28]. An estimated 370,000 carers in Wales, 90,000 of them looking after friends or family for at least 50 hours a week, are set to have equal legal rights to the people they look after when a landmark Welsh law comes into force in April 2016. Under the Social Services and Well-being (Wales) Act 2014, these carers – defined as someone, of any age, who provides unpaid care and support to a relative, friend or neighbour who needs care and support – will no longer need to be providing “a substantial amount of care on a regular basis” to be eligible for a carers’ assessment. This means Their local authority will have a duty under the Act to provide a carer’s assessment where it appears they have a need for support. 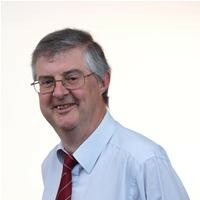 Professor Drakeford (pictured above) said: "Between 70% and 95% of the care provided to people in communities across Wales is given freely by family and friends. As we mark Carers’ Rights Day, I want to pay tribute to the work they do and say diolch yn fawr to the thousands of people across Wales who care. "This dedication and commitment is nothing short of extraordinary. Our carers provide an invaluable service to those that they care for. Without their commitment, our health and social care services would collapse. "As a government, we want to do all we can to support our carers. That’s why, from April 2016, we will introduce new measures to ensure carers in Wales will have equal legal rights to those they look after. This will ensure carers receive the help they need, in the ways they need it," he added.